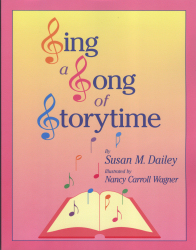 Susan M. Dailey is the author of A Storytime Year and Sing a Song of Storytime. Both books were published by Neal-Schuman. She has more than 30 years of library experience - starting as a high school page. (She received her first library paycheck before her driver's license!) Susan is a branch manager in the Wells County Public Library system, which is located in northeast Indiana. In 1994 and 2009, she chaired the Children's and Young People's Division of the Indiana Library Federation. 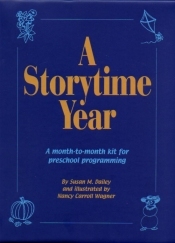 Since the publication of A Storytime Year, Susan has presented workshops in Indiana, Kentucky, Illinois, Wisconsin, Ohio and Arizona. She’s also been a presenter at conferences in Indiana, Kentucky and Wisconsin. Susan loves sharing her materials and experience! Susan has three grown children—a daughter and two sons. She has three grandsons and five granddaughters that she can share her songs with. Many of Susan’s songs and stories were written in her car. She hopes that people she passes think she’s singing along with the radio!